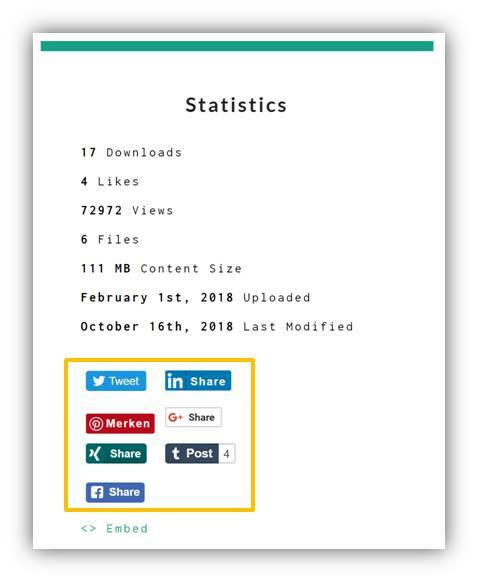 Help on how to share your simulations on social media platforms. Embeding on different forums, websites and platforms. 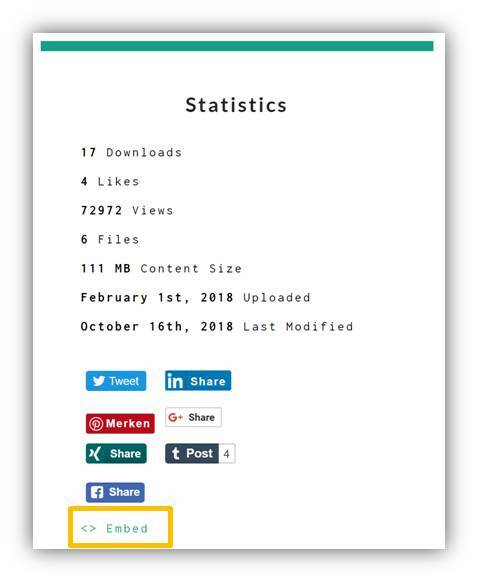 From project page you can effortlessly share FetchCFD project directly on social media platforms like Facebook, Twitter, LinkedIn, Xing, etc. Or you can just copy the project url and share it on any social media platform. Alternatively, click the embed button on a project page, under the statistics. A popup window will open. Copy the short link to embed the project page. You can embed a FetchCFD project in 3D on other platforms. You can embed FetchCFD projects in 3D directly in Tweets and your Twitter Home timeline. Just copy and paste the FetchCFD 3D Viewer project URL (like https://fetchcfd.com/threeDViewGltf/228) into your Tweet. To share on Facebook, just copy and paste a 3D Viewer URL (e.g. https://fetchcfd.com/view-project/1113-Advanced-Crew-Escape-Suit) into your post and it will be embedded in 3D. Note: Currently only .glb file format with max. file size of 3MB is supported. Just share a 3D Project Viewer URL it will become a 3D embed. Note: This should also work on other social media platforms and websites.